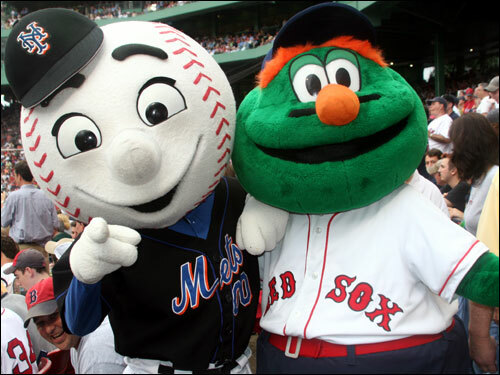 In the spirit of Pedro's return to Boston, Wally the Green Monster and Mr. Met are now new best friends. Their common bond is their hatred of the Yankees. Before the game, fans were able to see video highlights of Wally taking Mr. Met on a tour of Boston landmarks.